My first encounter with Virtual Reality – without the real immersion – was earlier in 2015. I did up some readings, reviewed some researches about the potency of the technology and somehow, left the thoughts of both virtual and augmented reality for some other things :). 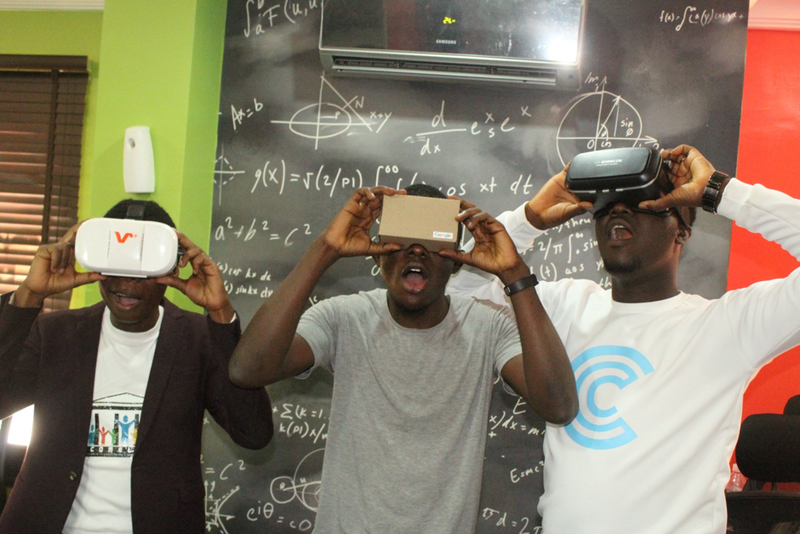 Months later, I joined some great tech minds at the first Virtual Reality MeetUp in Lagos (if not in Nigeria) organised by CuratorsU. The rise in information and seemingly democratisation of Virtual Reality gears are making the virtual / augmented reality experience less expensive and more accessible to people. Just like the smartphone spread across board some years ago, it is possible for VR / AR to be accessible to most people, and contribute to how we measure or achieve productivity. Here are some random thoughts on how VR and AR may help us become more productive as individuals and a nation. Access to education. Can children in violence-prone communities connect to the best learning resources in the world through virtual reality? Psuedo-Tourism. My first ‘e-visit’ of the pyramids of Egypt was a 3D experience several years ago. Can the same be built in Virtual Reality? Can African Heads of Government provide that for children who may be interested in knowing how the Office of their President is? Election Monitoring. Can citizens have access (through a combination of VR/AR/360 degree live cast) to monitor collation of election results? Sports and films. Imagine sitting in your room with your VR headset and seeing the live stream of a match or a movie. This might be an opportunity for actors in the sport and entertainment industry. Storing Memories. Can memories of our heroes be stored up in a VR content? Can we start seeing documentaries in 360 degree? I know we can – I have enjoyed several documentaries. How about building indigenous contents that surpass global standards. How about reviewing how appropriate what you wish to purchase at the market will fit into what you intend using it for – through AR? Better productivity from better conversations. How about holding virtual 360 degree meetings? Simulations on leadership, team building can be gamified and built on the VR framework; that way, other professionals can get to learn and build their soft skills. Hotels and bookings. How about doing a virtual check-out of rooms in hotels before booking them online? Imagine the amount and quality of time that can be saved for other productive things. The list is not yet exhaustive; what is your thought on this? What possibilities do you see? Share your comment below. I will love to know what you think.